X to undo your last move. 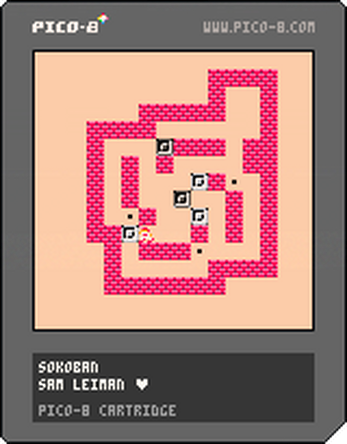 This is a port of Level 6 of the the Game Boy title Boxxle (Sokoban) by Thinking Rabbit. 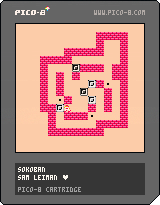 This was made in Pico-8 for the class Pixel Prototype Studio. The goal was to clone this level as closely as possible to the original game.